The novelist James Joyce once remarked that if he were sent into exile and could take the writings of just one author with him, he would hesitate for a moment between Shakespeare and Dante – but not for long. “The Englishman would get my vote”, said Joyce. And he would not be alone in this decision. But why? Why is this 17th century actor and playwright still hailed as the greatest of all writers? And even if he is as great as his admirers claim, is he really worth the effort? After all, his language can be demanding, especially for a modern reader. For Joyce, the answer was simple. In Shakespeare, he said, you find a “superabundance of worldy wisdom” and a “radiance of language”. And if there are two things every human being needs, they are beauty and wisdom. First, and most obviously, Shakespeare is worth reading because his language is so beautiful. Three and a half centuries after his death, another Englishman, George Orwell, defended Shakespeare against the criticisms of Tolstoy by pointing out that Tolstoy, though able to read English, was not a native speaker and so was unlikely to truly appreciate this beauty. And it is above all through this extraordinary language, Orwell writes, that Shakespeare continues to exert such a hold. Still, even if his language is so beautiful the question remains – why read him? For many people, this is not an adequate reason. They would argue that they simply haven’t the time for pretty words, not when they could be learning facts instead. Scientists have revealed the atoms and molecules out of which the entire cosmos is made. They know why the stars shine, how life originated and evolved, even the way the universe will end. Surely any time spent on flowery language is time wasted. Of course, no one would deny that there is enormous pleasure to be had from learning about such things. But it isn’t an either-or matter. Science lovers often speak as though you must choose between science and the arts. In fact, the greatest popular science writers are capable of beautiful, poetic prose. And the more you sharpen your appreciation of poetic beauty, the more you will sharpen your sensitivity to beauty in general. But beauty also has a practical value, freeing you from the endless cycle of wanting and grasping. Schopenhauer, for example, believed that human beings were forever caught between desire and boredom. Either you want something and are tense and frustrated because you don’t have it, or you get it and are then empty and bored. Beauty, wrote Schopenhauer, provides an escape from this cycle. In the presence of beauty (lost in the rhythm of a Shakespearean sonnet, for example), you neither want anything nor do you feel bored. The novelist Irish Murdoch, contrasting Shakespeare with a writer like D. H. Lawrence, said that while the second has “presence”, the first does not. This was not meant as a criticism of Lawrence; Murdoch simply meant that no distinctive personality lurks behind Shakespeare’s words. He has been able to transcend himself, to escape his own personality and inhabit those of his characters. He seems to know what it is like to be an ageing king, a teenage girl, a psychopathic murderer, a cowardly old soldier, an intellectual prince, and so on. And by studying these different characters, observing their fears, desires, ecstasies and agonies, the reader can better understand his own. Indeed, the literary critic Harold Bloom has even argued that Shakespeare invented the modern personality, establishing archetypes that we then imitate. And Shakespeare not only helps people to understand themselves; he also helps you understand other people. Imagine, for example, that you are the father of a teenage girl who is passionately in love. Had you studied Romeo and Juliet, you would be better prepared to help her, because you would understand a little of what she is experiencing. And that is because, in Bloom’s words, “Juliet…is the most persuasive and impressive representation we have of a young woman in love”. Once again there are endless examples of this. Hamlet captures a certain kind of existential angst, one that most thoughtful, sensitive people go through eventually. The famous “to be or not to be” speech perfectly expresses the thought process of an intelligent, sensitive individual who has thought too well and too deeply. Or take Henry V. If you ever wanted to understand the attraction of war, this will give you the answer. In Henry’s great Agincourt speech (greater than anything even Churchill could produce), you have it all: the romance, the sense of comradeship, the longing to return home and boast of your adventures, the belief that struggle and suffering somehow cleanses you of sin and failure, and so on. Shakespeare was a playwright, which meant that he created characters and put words into their mouths. When you then read these words out loud, you can inhabit that character, just as Shakespeare has done. 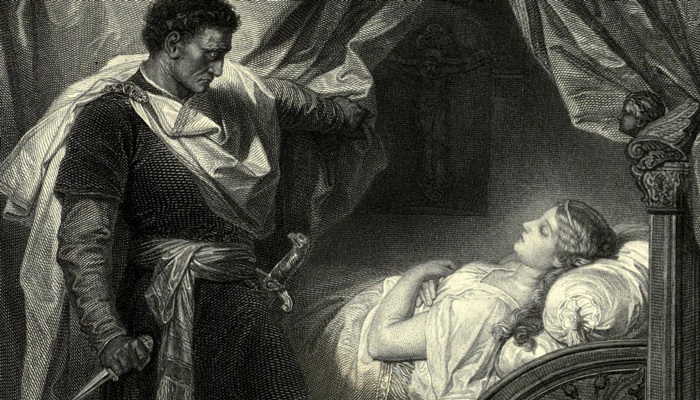 At the beginning of The Winter’s Tale, for example, the King, Leontes, is tormented by jealousy at the thought of his wife’s infidelity. In its jerky, stop-start rhythm, Shakespeare has captured the movements of a mind in turmoil. By reciting these lines, any young man will have a foretaste of what it means to be haunted by sexual jealousy. Shakespeare’s plays, writes Joyce, are “the happy hunting ground for all those whose minds have lost their balance.” What Joyce meant is that Shakespeare has a sort of God’s eye view of the human race. He understands people and he understands life. This does not mean he was some kind of self-help author. He offers no simple answers to the problems of life. He simply holds up a mirror and allows the human race to see itself as it is. The final plays, in particular The Tempest and The Winter’s Tale, have a mellow, ripe wisdom. The Winter’s Tale, for example, begins with frenzied sexual jealousy but ends on a note of forgiveness and a reminder that holding on to bitterness and pain is foolish: “What’s gone and what’s past help/ Should be past grief.” In The Tempest, the audience is once again advised to let go of bitterness and hate and to forgive instead. In a famous and beautiful speech, Prospero expresses a kind of nihilistic despair: all is insubstantial and unreal, “we are such stuff as dreams are made of/ And our little life is rounded with a sleep.” And yet this vision, though it rejects any hope of immortality, is also strangely comforting. Let go of your greedy little ego, with its grasping and yearning and ambition, accept that life is absurd and that all turns to dust, and you may find a kind of peace, even an ecstatic relief. Shakespeare’s fans, eager to share their love, assure people that “anyone can read him – he’s the world poet”. But this is a mistake. Those who are curious then buy a cheap paperback copy, try a few pages, and assume they must be stupid. The truth is that Shakespeare is for everyone, but he also demands time, patience, and effort. If you are willing to give this, it will be repaid in full.